The Beak: Now There's Even More Ways For Your Child to Ingest Lead! Now There's Even More Ways For Your Child to Ingest Lead! Description: This recall involves the Codeena Princess children’s jewelry. 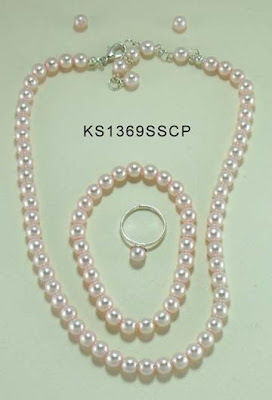 Only jewelry with item numbers KS1367SS and KS1369SCP are included in the recall. The item number is printed on the back of the packaging. 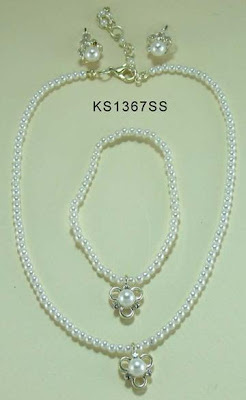 The children’s jewelry sets were sold in a variety of sets including pink or white pearl-like necklace, bracelet and earring or ring combinations. Some sets have studded charms dangling on the bracelet and the necklace. Sold at: Discount stores nationwide from September 2005 through August 2007 for about $5. Hazard: The plastic nose can detach, posing a choking hazard to young children. Incidents/Injuries: Infantino® has received eight reports of the nose detaching, including one report of a child gagging on the bitten off nose. 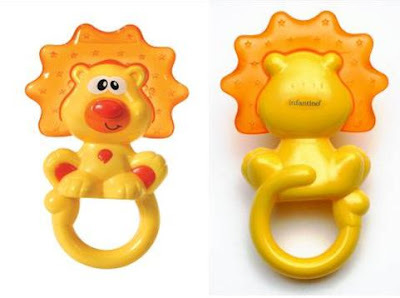 Description: This recall involves Infantino® lion teethers. The yellow and orange plastic teethers have date codes 6116, 6129, 6158, 6137, 0606, 0806, 0906, and 1006. The date codes are located on the back of the lion’s head, above the Infantino® logo. Lion teethers with other date codes are not included in this recall. Sold at: Babies “R” Us, Pottery Barn Kids and other specialty stores nationwide from June 2006 through December 2007 for about $5. Hazard: The recalled toys contain excessive levels of lead, violating the federal lead paint standard. 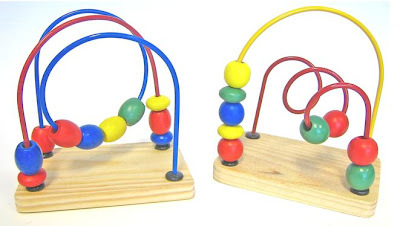 Description: The Baby Bead & Wire Toys are colored wires and colored beads that can slide on a natural wood platform. These bead toys have item number 903419 and date code 71 printed on the back of the packaging. The Speed Racer Pull Back & Go Action! 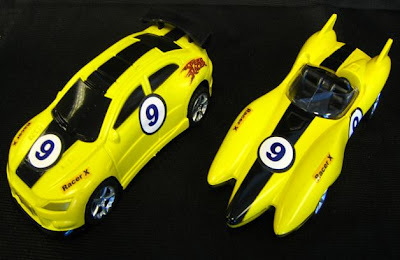 Cars are yellow with black stripes and white with red stripes. Item number 873820 and date code 77 is printed on the back of the packaging. Sold at: Dollar Tree, Dollar Bill$, Dollar Express, Greenbacks, Only One $1 and Deal$ stores nationwide from March 2007 through October 2007 (Baby Bead & Wire Toys) and from September 2007 through November 2007 (Speed Racer Cars) for $1. I know my titles are sarcastic, but really, at this point I am not shocked. I just hope that nobody has these toys... and you can subscribe by email to the above site as well. Nothing like your recalls with your morning cup o' coffee to start your day!